eLearning Design and Development / What Bothers Chief Learning Officers? Chief Learning Officers hold a significant responsibility of motivating employees to take the next step in their career. Organizational learning has an immense scope when executed right. However, the big challenge is to implement a learning module that impacts employees and processes in the best possible way. Training and learning have evolved a long way. A change in HR practices can be attributed to that evolution. It is not just recruitment or payrolling, but the emphasis is on talent and performance management. Learning plays a crucial role in the employee life cycle and it leads to growth and evolution of talent in an organization. Like every other area of work, Learning and Development, too, has its pain points. Though not a formal study, when Jason Silberman put a question in a LinkedIn group regarding the pain points of Learning and Development, Chief Learning Officers had some or the other valuable input to give. Understanding the pain points will give a deep insight into the practical challenges a Chief Learning Officer faces while undertaking a training module. The moment a learning seminar is announced, the office grapevine buzzes with the murmur regarding its utility. The managers fail to see the goal and at times dismiss the entire seminar as an event eating off productivity. The learners roam around confused, as they do not understand why their name is on the list of participants. Did they do something wrong? Is it a polite warning? What about their weekly targets? The list of questions is long and fits the spiraling confusion. Leaders are not at an advantage, as they do not see learning as a positive intervention on performance. Overall, the view is that of chaos with zero to limited organizational understanding. Companies are result oriented. Have a clear result in front of the leaders and employees, and they will buy your point. As a Chief Learning Officer, you can design a learning program of your own or hire vendors. However, if there is no concrete result from the training showcased to the managers, it is probable that they will dismiss this entire exercise. Have a talk with line managers, understand the areas where they would like their colleagues to be more functional. Make your presence felt in C-suite, understand the strategy in place. Formulate learning modules around it. Go back to C-suite, present the learning flowchart. Make them understand how learning is a catalyst to achieving the organizational aim. In a diverse workforce spread across geography, finding the right training module and professionals is a challenge. Most of the times a learning officer might not be well equipped to understand the concurrent training needs. Millennials rule the roost in numbers when it comes to the workforce. They are technology driven. Traditional seminars were good, but not relatable to them. The gap comes when the learning team is not upgraded with the latest technological tools to make learning dynamic, consistent and engaging. 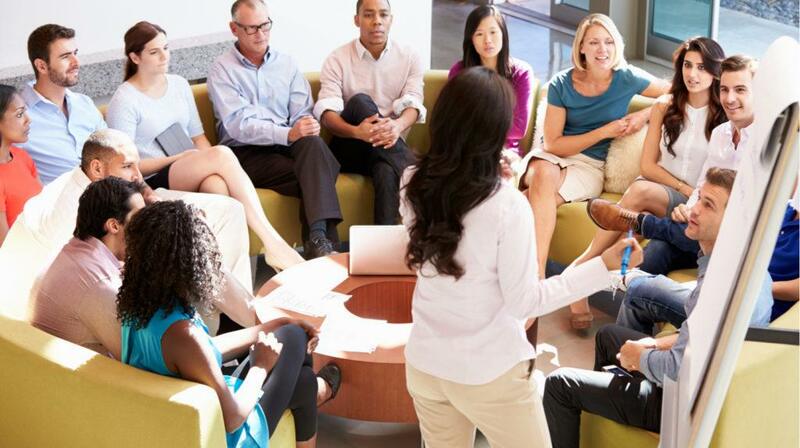 Managers still see learning sessions as a waste of productive work hours. Learners or the employees who participate, do not show the required level of commitment. The participation is passive and the learning barely touches the surface. One of the most crucial paths of Chief Learning Officer evolution is to align the managers with the training program. Managers need to support learning programs, prepare learners before the program, and follow up after the module. Having a clear understanding of learning session goals will help managers and learners to stay motivated. Another pain point is the lack of support from the top management. The reason again hovers around the lack of understanding how learning program is aligned with organizational goals. Learning is a constant process, and Chief Learning Officers should bridge the gap in understanding in order to drive the top ranks in undertaking a proactive learning strategy. Technology has affected every business vertical, and adapting to the latest tech-driven advancements in learning programs, is a major step in Chief Learning Officer evolution. A young workforce will connect more with a learning module that has digitally backed content. The major pain points lie with a lack of understanding and a gap of communication. Learning should be scalable and should be driven towards a particular goal that is in sync with the organizational vision for coming times.